It’s time to remodel the kitchen in your home and find the right contractor to do the job. What type of questions should you ask when interviewing a kitchen remodeling company? There are questions to ask to make sure that you have selected the right company for the job. If they cannot give you reasonable answers, then continue looking. Here are some questions to consider asking. How long has your company been remodeling kitchens? This question allows you to see how comfortable they are in answering this question. If they seem aggravated, then they must not feel confident in the work they provide. 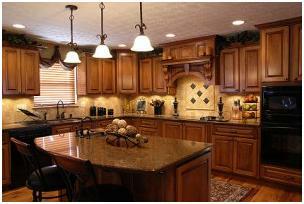 At K2GC Inc., the kitchen contractors are well qualified and have experience remodeling homes. The company has been in business for 25 years. In the Contra Costa County every contractor should be registered with the state of California. All of the contractors at K2GC Inc. are licensed contractors. Ask for references and credentials. This is an important part of the interviewing process, and the company should feel comfortable and confident in offering this information. Be sure to call references before choosing a contractor. Does the contractor seem to be a good listener? This is extremely important to K2GC Inc., as they take pride in providing their customers heart-to-heart discussions in their planning and execution of the kitchen remodeling. Is the contractor interested in your concerns about the possible mess in the home and potential inconveniences? Selecting a superior kitchen remodeling company in Contra Costa County can be challenging, but K2GC Inc. will take you seriously and take into consideration your concerns and deliver a high quality project. Contact K2GC Inc. today at 925-754-5232 with your questions about kitchen remodeling or to request a free estimate.